Junior middleweight champion Saul “Canelo” Alvarez has a broken right thumb that will keep him out of the ring for the rest of the year. 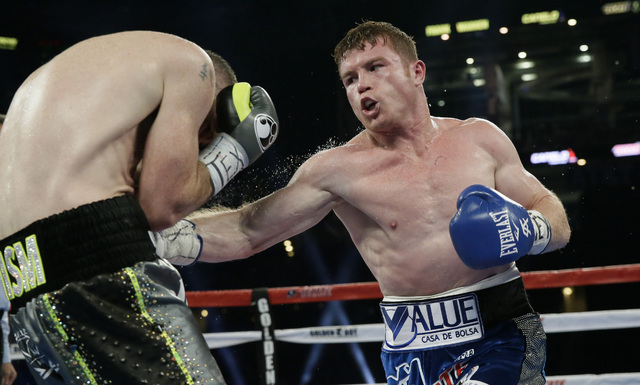 LOS ANGELES — Junior middleweight champion Saul “Canelo” Alvarez has a broken right thumb that will keep him out of the ring for the rest of the year. Golden Boy Promotions announced Alvarez’s injury on Monday. Alvarez (48-1-1, 34 KOs) hurt his hand during the second round of his victory over England’s Liam Smith on Saturday night in Arlington, Texas. 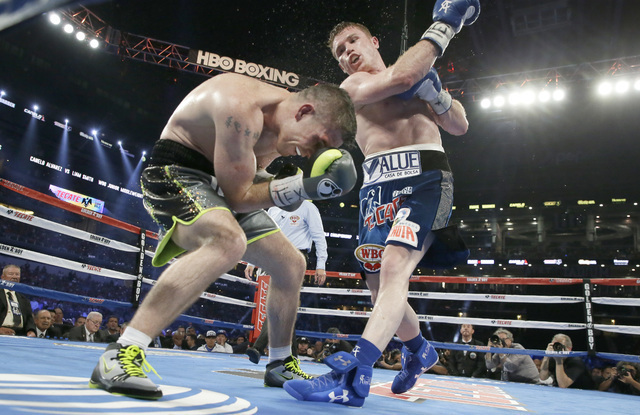 A crowd of 51,240 watched the popular Mexican star’s ninth-round stoppage of Smith. Alvarez knocked down Smith three times despite the injury, which was discovered by an X-ray. His hand will be immobilized for the next six weeks. Alvarez still plans to move up to middleweight next year, Golden Boy confirmed. His promoters have been widely perceived as reluctant to match Canelo against Gennady Golovkin, the unbeaten multi-belt middleweight champion.